VIPRE Antivirus + Antispyware is high-performance security software that doesn't slow down your PC like older, traditional antivirus products. 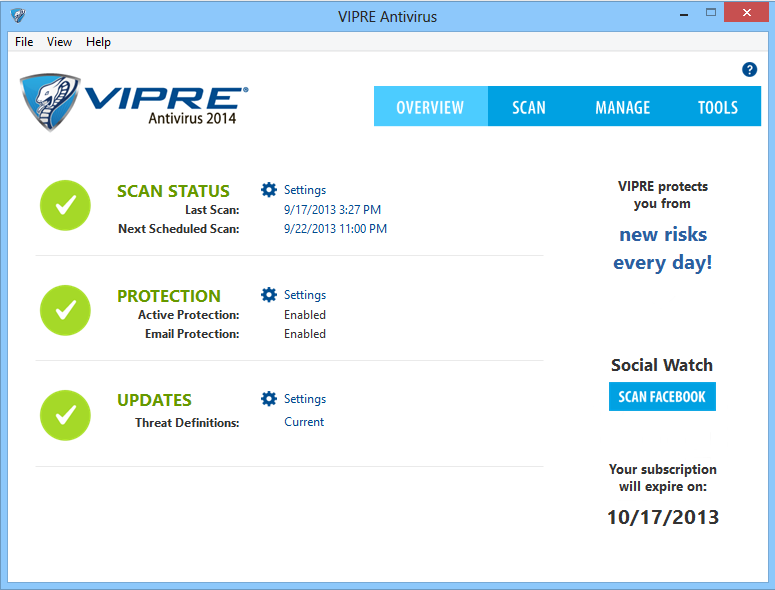 VIPRE is the end of antivirus software as you know it. The press loves it. VIPRE got 5 STARS on download.com. Protect your PC with our free 15-day trial!